Kenneth Lujan is devoted to both the patients he serves and his fellow co-workers. He takes pride in every aspect of his job, ensuring that patient care is supported by his attention to every detail. In February of 2015, Kenneth saw an opportunity to improve gurney safety. He took his idea to the Safety Committee and, as a team, they developed a color-coded decal that displays a “green” color when it is safe to move the gurney carrying a patient. 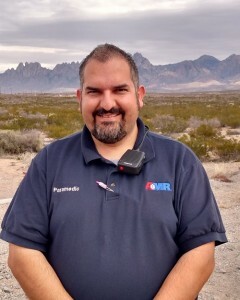 Kenneth is constantly looking for opportunities to further his training, and regularly volunteers to teach continuing education and new training classes for EMS providers and students. Always approachable, Kenneth is often the person that will provide direction on how to improve care for patients. He is truly a mentor to his peers and is a trusted resource for his co-workers.